Taking a quick look at the headline Facebook statistics for this week it looks like Bill English might have gotten some of his groove back. While Jacinda Ardern is still trucking along at roughly the same clip as she was the previous week in terms of Facebook growth, Whereas last week the growth gap between the two was approximately 3,200, this week it's halved to about 1,550. Looking back through Bill English's Facebook page last week, I can't see anything that particularly stood out in terms of performance, though my guess is that he benefitted from the relatively positive economic outlook in the PREFU. There were a few good posts, like his Facebook live and a couple of other out and about posts, but nothing that I'd describe as a runaway success. Though I think Bill did miss a trick when visiting Le Cordon Bleu culinary school in Wellington not to ram home the point that under Labour's proposed international student crackdown, Le Cordon Bleu would cease to exist as upwards of 90% of its students are overseas students who wouldn't qualify under Labour's policy. Looking at the raw numbers you can see that while Jacinda is closing the gap on Bill English, with four weeks to go he likely has a big enough of a lead, and enough fan growth of his own to maintain a lead. That is unless Jacinda has an absolutely blinder in the debates. It's also worth noting that while not registering the thousands of new page likes that Jacinda or Bill are managing, David Seymour is doing very well over the longer term, which I believe was driven by his attacks on Meteria Turei earlier this month. The party page side of things paints a much different picture. Labour's growth lead over National only shrunk slightly to around 2,000 likes (versus 2,200 for the previous week), and The "We don't want to do political advertising" Opportunities Party continues to binge, ironically, on Facebook advertising to drive their growth as demonstrated it the table below. National's growth did double week on week, and like Bill English's seemed to peak over the middle of the week. National did manage a few very good posts about the positive economic growth prospects, very much playing to their base, mid-week which appear to have driven their success. 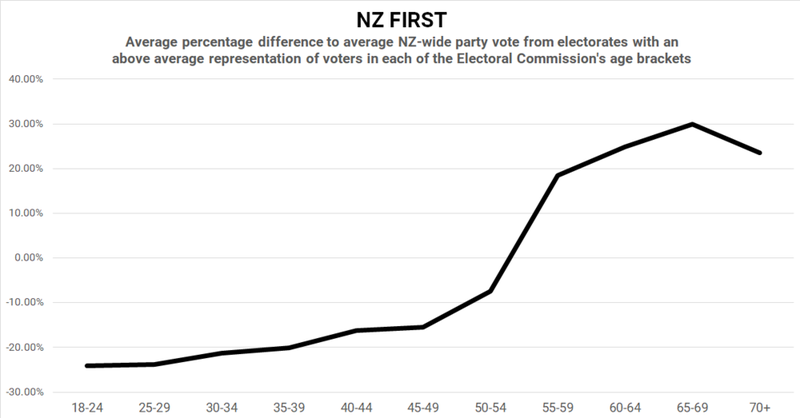 As is often put, any day talking about the economy is a good day for National and this definitely seems to be the case last week with the PREFU. Looking at interaction rates per post, nothing much has changed in terms of the leaders or parties relative to each other, rather the rates have edged back from the previous week as the campaign entered into a bit of a phoney war period prior to this sprint in the final four weeks.